Work is progressing at pace on the Carrigtwohill Flood Mitigation project for the IDA. The scheme consists of the construction and upgrade of an existing flood mitigation project within the IDA Business Park in Cork. Works include site clearance and bulk excavation; construction of a new embankment, 1500 mm diameter outfall pipeline, combined crate storage system and attenuation pond, RC concrete works as well as dredging of the existing ponds. The works also includes landscaping involving grass seeding and shrub planting. 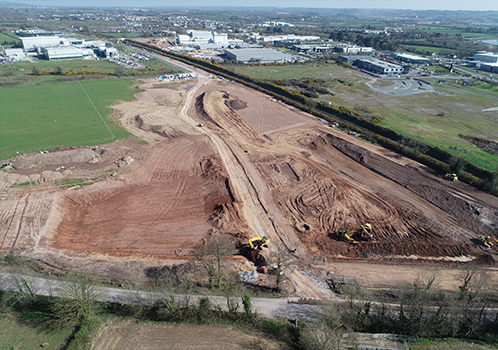 Extensive planning and traffic management has taken place to ensure that the works do not have any operational impact on the existing tenants of the business park as the works are being carried out within a live environment.